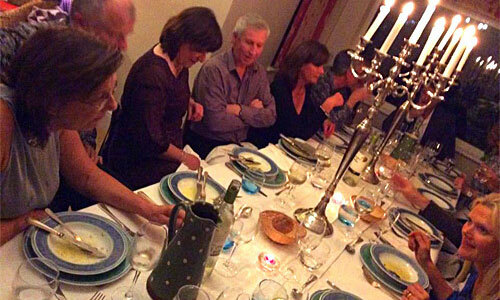 We love hosting our supper club dinners. Numbers vary but are usually between 14 to 20. 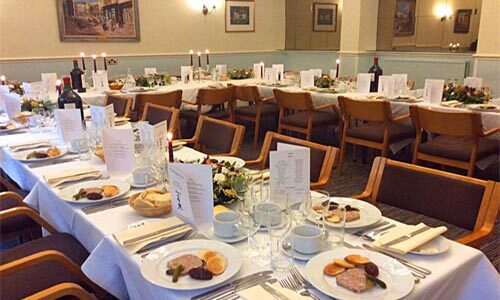 The willingness of our guests to participate, talk to people they meet and just join in with the spirit of the occasion is just outstanding and makes for a brilliant evening. If you’d like to join in do please book early because of the limited space. There have been some amazing coincidences... for instance with two ladies having worked together 30 years previously and not having seen each other since! 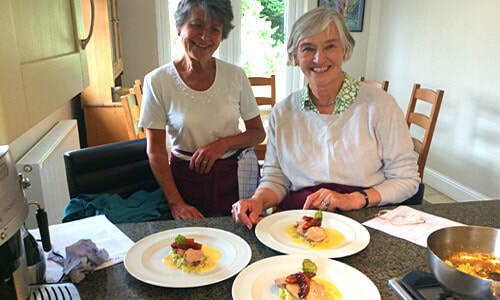 We have also run a number of very successful Private Supper Clubs at our house. Our guests in January have booked again for one in the Summer – hopefully Al fresco. 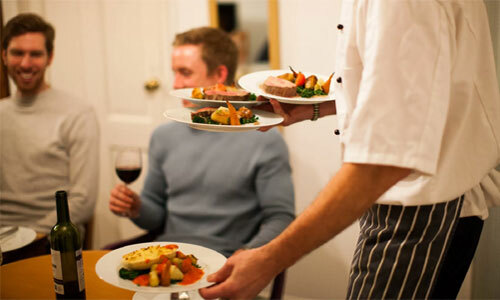 We publish the menus for the dinners a couple of months beforehand and will post on the website. 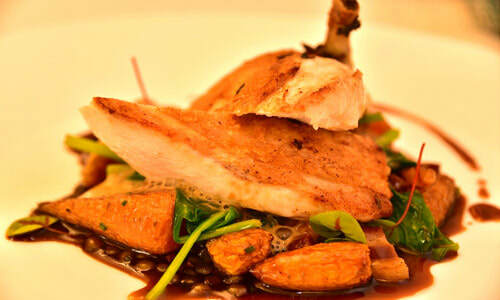 Typically the price is £45 but will be confirmed on each menu as ingredients do have an impact on the price of course. But do always get in touch if you need more information. We will provide still and sparking water only, with customers bringing their own wines.
" Wonderful evening at Michel's kitchen last night. Amazing food and great company. Thank you Michel and Ann - we shall certainly be visiting again "